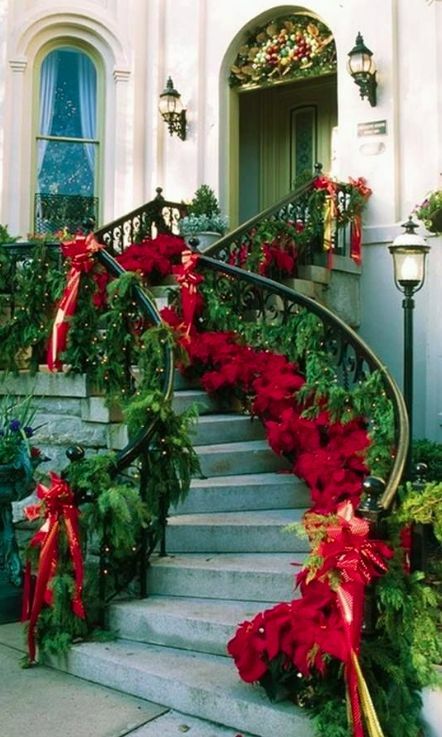 Harlequin SuperRomance Authors Blog: Are You Ready to Think About Christmas? Are You Ready to Think About Christmas? Usually I don’t like to think about Christmas until after Thanksgiving, but as the family expands with sons-in-laws and grandchildren, I’ve decided I need to get cracking. 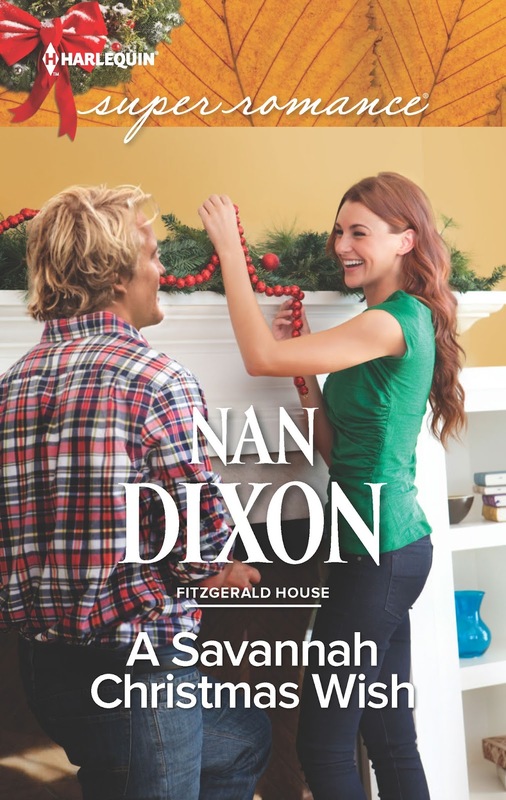 I also have A SAVANNAH CHRISTMAS WISH releasing December 1, 2015. This is the second book in the Fitzgerald House series, but is a stand alone book. Bess Fitzgerald, the heroine, is the middle sister of the Fitzgeralds. She’s a landscape architect and also maintains the gardens for Fitzgerald House, the family mansion, now a Savannah Bed and Breakfast. Bess is responsible for decorating the B and B for the holidays. I like to imagine that this is how the entry looks. They have seventeen Christmas trees in the B and B and each one has a different theme. contains all the wonderful homemade and embarrassing ornaments. For my middle child during grade school, we seem to have picture ornaments from the school pictures almost every year. And when my twins were going through grade school, one of the room mothers did ceramics. I have two of all those ornaments and decorations. The second, more formal tree, is in the living room. It started out as the dancer tree, since all five of my kids danced for a while. Now the theme has evolved to dancing, glass, white and gold. Apparently I don't have pictures of this tree! If you have a themed Christmas tree what is it? If you could start over, what would your theme be? I'm in the Christmas spirit! If you're interesting in trying to get your hands on a hard to get paperback copy of A SAVANNAH CHRISTMAS WISH - I have a Goodread's Giveaway going on. Stop over and sign up! Thanks for Stopping over Tammy. That sounds like such a fun Christmas tree! And thanks for entering the drawing! we have two trees: a tree in the family room which has an assortment of ornaments, mostly a traditiona tree; and a tree in the living room which is just mine, a country-theme tree. Thanks for stopping by Denise! Country-themed sounds so pretty! 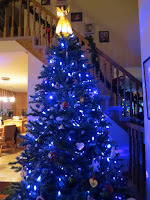 One year I was feeling blue (after my dad died), so all the decorations outside and on the tree were with blue bulbs. Every so many years, we have a Red Green Christmas, where all the bulbs are red or green. 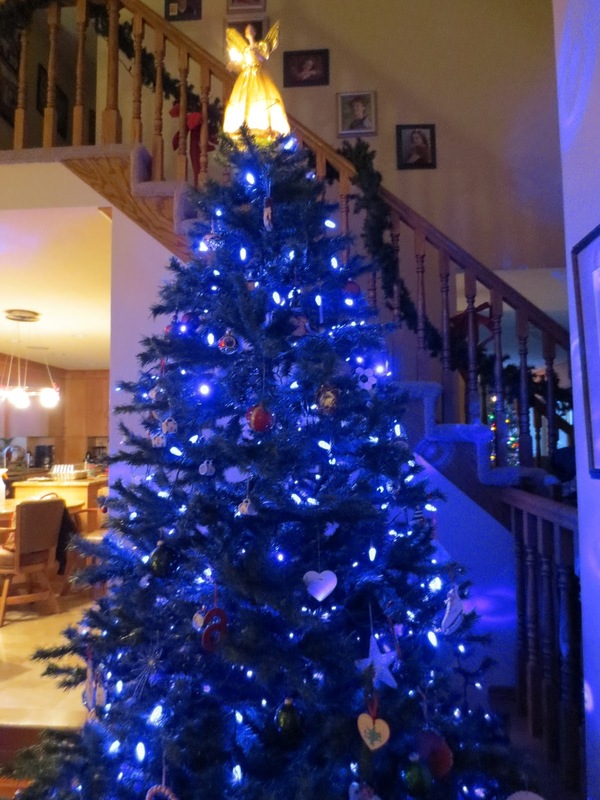 I love blue Christmas trees - but I think your red/green tree is probably more cheerful. Thanks so much for stopping in! I love Christmas books and yours looks fabulous, Nan! Ahhh--thanks for stopping in Claire! I'll be adding this to my list. Who's Ready for the HeeBeeGeeBees? The Science of Hair…who knew?